Position a rack in the center of the oven and heat the oven to 350°F. Butter the bottom and sides of a 9×2-inch round cake pan (don’t use a springform pan, as the caramel might leak out during baking). Line the bottom of the pan with a round of parchment and butter the top of the paper. Peel, core, and cut the pears lengthwise into 1/4-inch-thick slices. 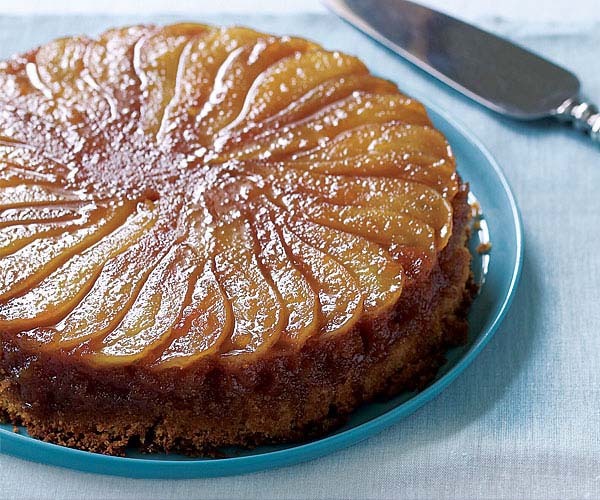 Arrange the pear slices on the bottom of the pan in a circle around the edge, overlapping them slightly, with the pointed ends towards the center. If necessary, cut a little off the pointed ends to make the slices fit better. Or if the pear slices don’t reach all the way to the middle, arrange a few of the shorter slices in the center to cover the bottom of the pan. Sift the flour, baking powder, ginger, cinnamon, and salt into a medium bowl. Stir to combine. In a small bowl, stir together the milk and vanilla. Spoon the batter in large dollops over the pears and smooth it into an even layer with an offset spatula. Bake the cake until the top is golden brown and a toothpick inserted in the center comes out clean, 35 to 45 minutes. Transfer the pan to a wire rack to cool for 10 minutes. Run a knife around the edge of the pan. Turn a cake plate upside down on top of the cake pan and, using pot holders, carefully invert the cake pan onto the plate. 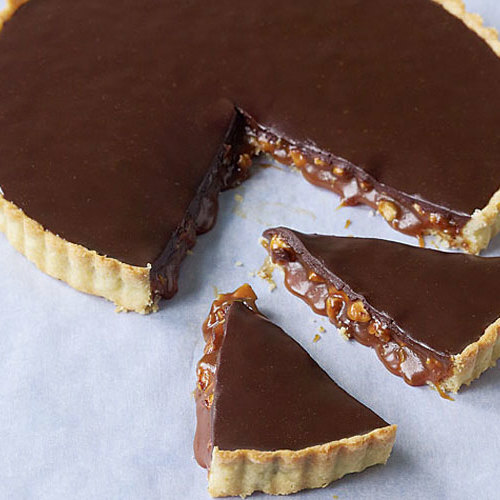 The caramel was super easy to make. The cake batter came together quickly and the cake itself was perfect. I will be making this one again for last minute guests. Love it! I made this cake in a hurry but it turned out stunning. One of the best cake desserts I have made. Foolproof I would say. My cake tin was a little larger than specified so it was a shallow cake and took only 30 minutes to bake but was moist and sliced beautifully. Would highly recommend.